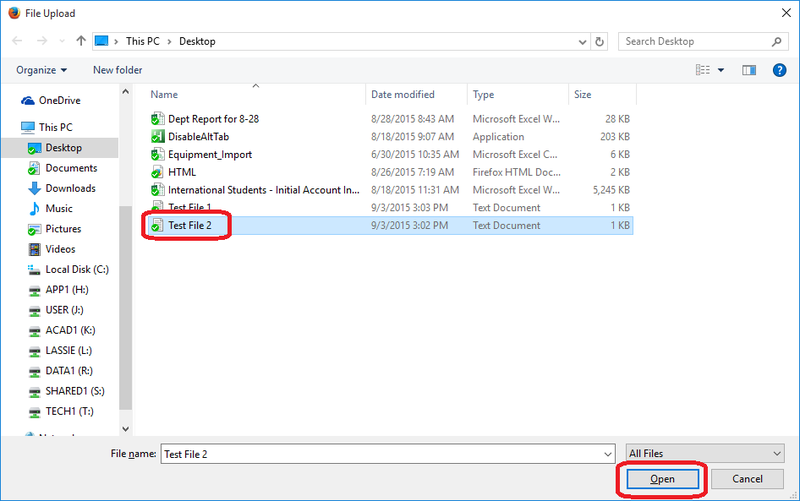 How to upload a file to campus storage using Storage on the Go. Log in to Storage on the Go by going to https://campus.uwplatt.edu/go/storage and clicking on the orange login button. Navigate to the folder you would like to upload the file to by clicking on folder names. Please note that when navigating to your J Drive (User1) you will need to first click on the first letter of your last name, then your username. Navigate to the file on your computer and click the "Open" button. The file should now be present within Storage on the Go.